An alert Lindfield neighbour played a vital role in catching a gang of burglars who were operating in Sussex, police say. Alin Paul Hosain, 29, Ionut-Emil Hosain, 27, and Nicolae Marius Stoica, 22, all of no fixed address, and George Alexandru Ghica, 22, of Woodcock Hill, Felbridge, appeared at Hove Crown Court on Tuesday May 17 and were jailed for four years each. 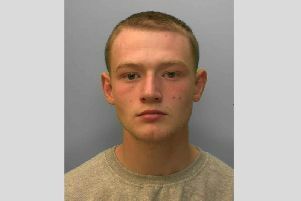 All four pleaded guilty to conspiracy to commit burglary at homes in West Sussex and Brighton and Hove between September 23 and November 20 last year. They were sentenced to four years imprisonment each. Ghica also pleaded guilty to removing criminal property - the proceeds of burglary - from the UK, contrary to the Proceeds of Crime Act. All four were arrested thanks to an alert neighbour who spotted four men acting suspiciously outside an address in Finches Park Road, Lindfield, on November 20 afternoon, and immediately dialled 999. A statement from Sussex Police said: “The four were seen by neighbours to leave the area in a car and details were circulated at once. When officers arrived at the scene they discovered that the house had been burgled and jewellery and electronic items had been stolen. “Police traced the car and the men were arrested when it stopped at a filling station near East Grinstead, and found the stolen property in the car. “Detectives launched an investigation to see if the men had been involved in other burglaries. This involved forensic enquiries, tracing the movements of the suspects’ vehicle and identifying recovered stolen property. They were eventually charged with 16 burglaries (listed below) which they later admitted, in Crawley, Crawley Down, Lindfield, Burgess Hill, Haywards Heath and Brighton. DC Jamie Carruthers of the West Sussex Priority Crime Team said; “We established that the four men left the UK via Luton Airport on the 7 November to return to Romania. They returned to the UK on 18 November, clearly to continue their crime spree. We were able to confirm that two stolen iPads had been used in Romania, so it is evident that they had taken much of their stolen loot back to their home country. Judge Anthony Niblett awarded the good neighbour £250 out of High Sherriff’s funds for his public spirited response, commenting that if it had not been for his actions the group would undoubtedly have continued to try to commit other burglaries.